With continued emphasis on the Hospital Consumer Assessment of Healthcare Providers and Systems (HCAHPS) and the rise of value-based care payment models, patient experience has a larger impact on your organization’s success than ever before. Patient satisfaction scores influence not only an organization’s reputation but also its funding. Because of this, patient satisfaction has become a top priority for hospitals and healthcare organizations nationwide. Superior patient experience begins with the candidates you hire. 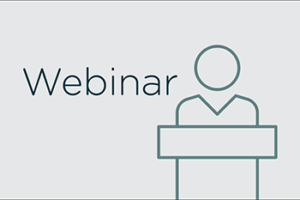 In this webinar, we discuss the impact of HCAHPS and consider how talent acquisition teams can help build a patient-centric workforce by hiring quality clinicians, nurses, and others that provide top-notch patient care and customer service. You will learn how healthcare recruiters are making better hiring decisions with data-driven insights to positively influence patient satisfaction scores.